My name is Jane Werner. I am majoring in Animal Science and minoring in Agricultural Economics/Agricultural Business. I chose this event because I personally have never been to the School of Natural Resources, and I thought this would be the perfect opportunity to learn more about it. I hope to learn how to communicate through social media in an effective way to show an audience interesting news that is happening at the event. From our live tweets, I hope the public learns more about the history and tradition of UNL’s School of Natural Resources. My name is Alexa Johnson. I am majoring in Animal Science and Grazing Livestock Systems with a minor in the beef industry. I thought this would be a great event because it gives me the chance to interact with the community and the School of Natural Resources. I hope this project gives me a better understanding of live tweeting and ways to share information using social media. In the tweets, I think it would be great to share the views on what the event is about and show others how great the School of Natural Resources is. 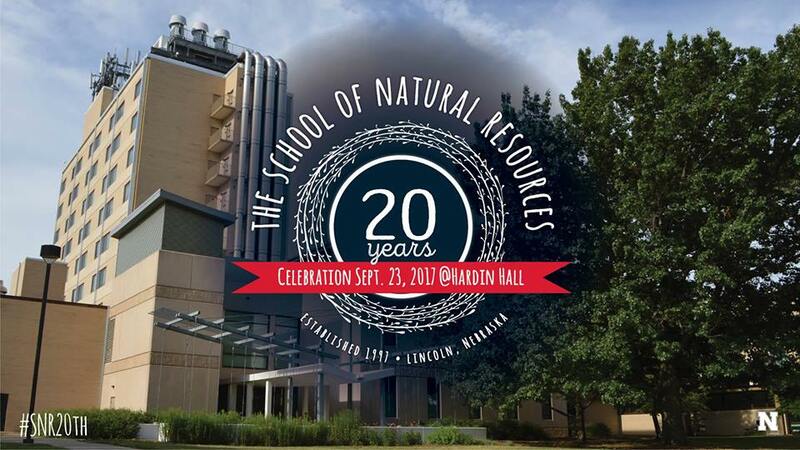 For this event, the School of Natural Resources is celebrating its 20th anniversary. The celebration will include a pancake and sausage breakfast. Students, alumni, faculty, staff, and friends are welcome and encouraged to visit, share experiences and memories of our natural resources program. Students in the student clubs will be flipping the pancakes and donations will be accepted for their causes. The event is on September 23, 2017 from 10:00am to 2:00pm. It is at UNL’s School of Natural Resources (3310 Holdrege St. Lincoln, NE 68583). We will be live tweeting from 10:15am to 11:15am.